Nutria uncovers your unique dietary profile and guides you to a customized meal plan to help you achieve your wellness goals. Sign up for Nutria and order your personal DNA collection kit. Your DNA data will be used to customize your weekly meal plan to help you feel great. Your DNA collection kit will arrive by mail. Simply collect your saliva and send back your sample in the pre-paid envelope included in your kit. For 8 weeks access recipes, prepared meal recommendations and chat with our nutritionists for motivation and advice. Nutria is the next step in personalized nutrition. With insights from your DNA, we partner with experienced nutritionists to provide you with customized meal plans that empower you to make better food choices. Nutria’s nutrition plans are tailor-made for your unique genetic make-up and lifestyle. 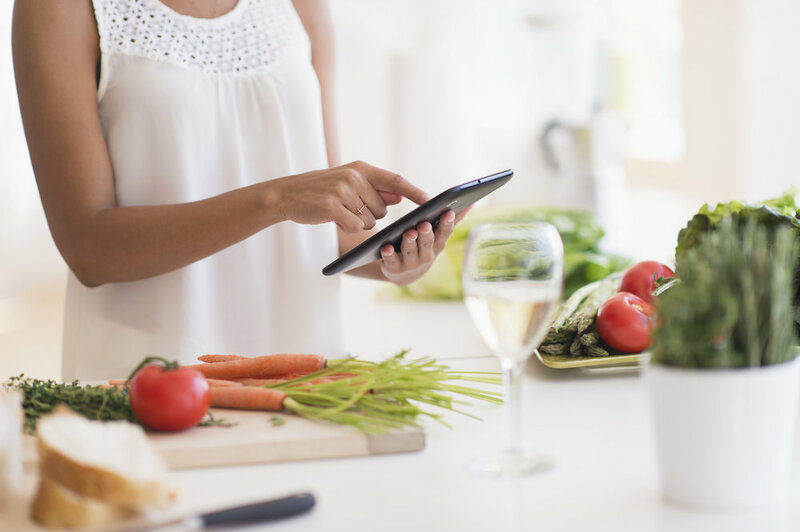 From recipes to prepared meals, Nutria offers delicious food recommendations all in our easy-to-use app. Choose smarter and feel better. Nutria provides you with an in-depth understanding of your personal nutrition needs based on innovative DNA testing. It easily explains the science behind the nutrition that fits your individual genes. During the 8 week program, our app guides and motivates you every day to help you achieve your health and wellness goals. The customized nutrition plan makes it easy to navigate food choices, suggests new recipes and makes meal planning a breeze. Nutria's current program has reached capacity. Please provide your contact information to be notified of future programs. nutrigenomics to provide a unique coaching program based on your individual nutrition needs. Our meal planning tool includes delicious recipes as well as dining out choices. For those busy days when you are pressed for time, we have collaborated with LEAN CUISINE to provide recommendations for nutritious and convenient prepared meal options. Nutria is in a beta phase of development. That means we are testing a new approach by bringing together partners for DNA analysis and coaching. Join our limited group of testers as we develop a new way to make nutritious eating easy for everyone.